Another year comes to a close, and we all breathe a sigh of relief. 2016 was a tough one, for many reasons. We lost far too many icons from the stage and screen, as well as family and friends who left us with a hole in our heart. On the positive side, we are all still here, relatively healthy (not including the festive over-indulgence! ), happy, and hopefully determined to make 2017 a better year. Blogging is a huge part of my life, and I’m looking forward to sharing more valuable content over the next twelve months. 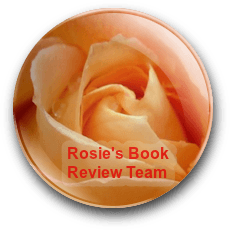 Many of my blog readers will know this blog well and, I hope, enjoy my book reviews, the author and blogger interviews I’ve shared, as well as the random musings of my mind. The most popular features for 2016 were my Reader Spot interviews where I invited the incredible book bloggers I’ve met online to share their passion for reading and reviewing. You can read all the interviews HERE. My Monday Muse feature was also well received and gave me an opportunity to share some of the outstanding women and characters who have inspired my writing. You can read all the Monday Muse posts HERE. I was honoured to appear on a host of blogs and websites this year, as well as featuring in Writers’ Forum Magazine. You can read all my interviews HERE. I’m not sure if many of you are aware that I also write another blog, Motivate Me, which is celebrating its fifth birthday today and 133,000 page views! I neglected this platform a little in 2016, but I hope to focus more on my motivational blog over the coming months. I’d love for you to pop over and join me for an inspirational boost, a holistic look at health and wellbeing, and to share your lifestyle goals. 2017 is going to be a positive year, full of joy, good intentions, incredible books, and new friendships. I’m so grateful that you have joined me on my blogging journey and I look forward to sharing a prosperous future with you all. Thank you for the likes, comments, and shares. Your interaction is hugely appreciated. Here’s to a good one eh!!! Happy New Year Shelley – looking forward to more blogging in 2017! I’m new to your blog, but I’m glad I found you. Happy New Year! Happy New Year, Shelley. Hope it’s a good one – creative and fulfilling.